A place of superlatives, Sabi Sands Game Reserve is in effect a continuation of the massive Kruger National Park, but by anyone’s standards Sabi Sands is no mere Kruger add-on. This 65,000 hectare reserve is, in many respects, the finest chunk of wildlife-filled wilderness in southern Africa. The choice safari destination in South Africa for the wealthy, Sabi Sands is actually a grouping of smaller private reserves rather than one single entity. And these reserves restrict visitor numbers to the lucky few guests staying at a handful of small and intimate camps. And what camps these are. If you’ve been fortunate enough to visit one of the private conservancies near Kenya’s Maasai Mara National Reserve, you might have think you’ve seen and experienced it all when it comes to pampered luxury. Well, many Sabi Sands camps are at least their equal, and sometimes are even more breathtaking. And when it comes to wildlife Sabi Sands is equally impressive. All the reserves here are unfenced and co-join with Kruger, which means that the wildlife can slip effortlessly around the ecosystem, and world-class wildlife guides will ensure that you get the most out of this stunning wilderness. If you can afford it then there’s no question that Sabi Sands offers the best safari experience in South Africa. No matter how glorious the accommodation or how gorgeous the scenery, it’s the wildlife that really counts - and few places in Africa are as good for large mammals as Sabi Sands. Indeed, many a safari expert will tell you that Sabi Sands might just be the best place on the continent in which to see all of the Big Five in a short period of time. What’s more, with visitor numbers restricted and rules on the number of jeeps allowed at any given sighting strictly enforced, it can often feel as if you have many of these animals all to yourself - and this is especially the case in the remoter northern parts of the reserve. Elephant and lion are commonly seen as are big herds of buffalo. Rhinos are present, but are generally the hardest of the Big Five to track down. Less common, but still seen with some frequency are wild dogs. If they’re denning in the area then guides will know and you’ll have a good chance of seeing one of Africa’s most successful, but persecuted, predators. As with Kruger, Sabi Sands has great birdlife, although with less habitat diversity the species count is lower. Key wildlife viewing times are between June and September when the drier winter weather causes animals to congregate around water sources and the March to May rutting season. Overall, June is probably the best month to visit as wildlife activity is intense, but with school holidays yet to begin, it’s less busy and accommodation is cheaper. South Africa’s most famous private game reserve, Sabi Sands really does offer it all: incredible wildlife, blissful and intimate accommodation, superb guides, comfortable, customised safari vehicles and low visitor numbers. If you want a quick-fix of mega-fauna - and you can afford the price tags - then there’s unlikely to be a better place in South Africa. Other highlights are the birds. Some 300 species have been recorded here. Then there are the walking safaris and the chance to indulge in once-in-a-lifetime experiences such as sleeping out in the open air in a romantic ‘star bed’. Holding one of the highest concentrations of large mammals per hectare on the planet, Lion Sands Game Reserve is renowned for its lion sightings (there are three prides in particular that everyone seems to get to meet up close), leopards and cheetah, but guides here are keen for guests to expand their horizons a little and look beyond the Big Five. So they will regale you with information on the many giraffe, zebra, wildebeest, klipspringer, warthogs and waterbuck that are all daily game drive encounters. Like all the Sabi Sands area reserves, the focus here is on low-key luxurious and beautiful accommodation and highly personalised service. They also actively encourage family safaris. One of the original private game reserves in South Africa, Londolozi has been in existence in some form or another for nearly a century, and they’ve got the whole safari and conservation thing down to a fine art. They were one of the pioneers of leopard habituation so you have them to thank for the ease with which these most graceful of cats are seen throughout the wider Sabi Sands area. But like all the reserves in Sabi Sands, Londolozi has the full bag of big African mammals in abundance as well as the normal faultless guiding, and divine lodges. Another one of South Africa’s original private game reserves, the massive Mala Mala has been operating since the 1920s. For long a part of the Sabi Sands Reserve, Mala Mala has gone its own way, but the visitor wouldn’t know the difference. The wildlife is just as impressive as before and the whole safari experience is just as polished. The difference is that Mala Mala is (marginally) more affordable than most of the others and, at around 130 sq km, is much larger. Its size, and the fact that guests of other reserves are not allowed, means that you really can have this wonderful sweep of bushy savannah all to yourself. 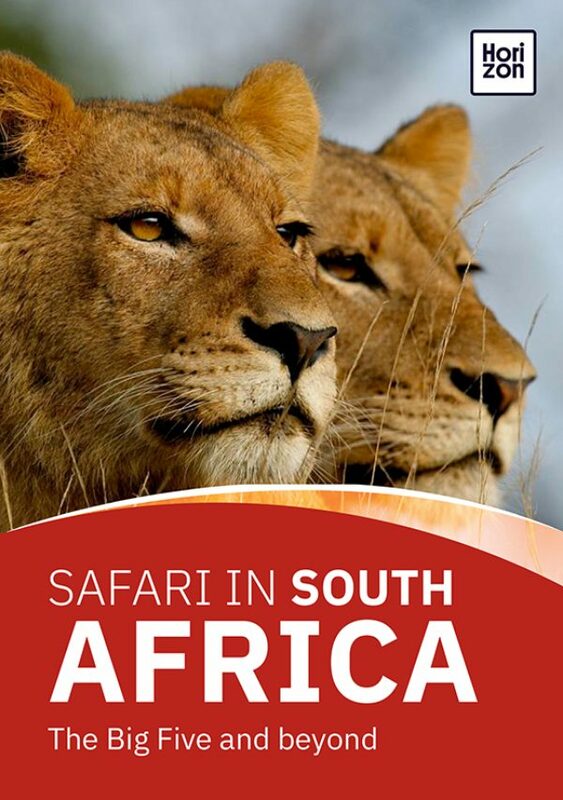 In fact, so impressive is Mala Mala that many safari experts consider it their favourite South African reserve. A collection of former rangelands, Sabi Sabi is the discerning (and very well-heeled) safari goer’s choice. This stupendous reserve has all the wildlife drama and beauty that is to be expected of the Sabi Sands area, but the whole package is just that much more luxurious and exclusive than most of the other Sabi Sands camps and reserves (and let’s face it, you’re hardly slumming it in any of them). With just four uber up-market but radically different places to stay and traversing rights given to only one outside lodge, Sabi Sabi is exclusivity redefined. Owned by Richard Branson, the Ulusaba Game Reserve offers much of the best of Sabi Sands. Here there are gorgeous lodges, superlative wildlife viewing and, unusually for the Sabi Sands area, eye wateringly beautiful scenic backdrops. As you might expect, this place attracts celebrities and the elite but it’s also a down-to-earth kind of reserve and it welcomes children with its innovative family-friendly activities. On the downside the fact that it’s one of the smaller reserves in the area and a number of outside lodges have traversing rights, means that it can get a bit busy with vehicles at times. Sabi Sands is a very upmarket safari destination. Unless you’re able to drop hundreds of US dollars a night on accommodation you’ll need to look elsewhere as the reserves here are not open to outside visitors. The prices quoted by lodges here might appear astronomical but keep in mind that they generally include all activities including guided safaris in state-of-the-art vehicles, meals and most drinks, plus the conservation fees that help maintain such wilderness areas. It’s simply not possible to recommend any particular Sabi Sands camp or lodge over another. All are pretty much perfect in their own way, and the guiding and wildlife sighting at all of them is of equal standard. The Sabi Sands reserves basically kick-started the entire private conservation area movement in Africa and some of these reserves have been in operation in some form or another for approaching a hundred years. But Sabi Sands has more than just history on its side, it also has some of the world’s most reliable leopard and other Big Five sightings.